The W.Hoffmann V175 grand piano is a grand piano a part of W.Hoffmann’s Vision series. Made in Europe the V175 is manufactured by C.Bechstein. The W.Hoffmann V175 grand piano is a grand piano a part of W.Hoffmann’s Vision series. Made in Europe the V175 is manufactured by C.Bechstein in its European factory using the know-how of German engineering and German expertise. For those customers who are looking for the high quality and a reasonable price this piano is for you. Its sound touch and durability are of German standards. Once you play this European piano you won’t want to try anything else. C.Bechstein does not compromise on quality. Available in Ebony Polish. 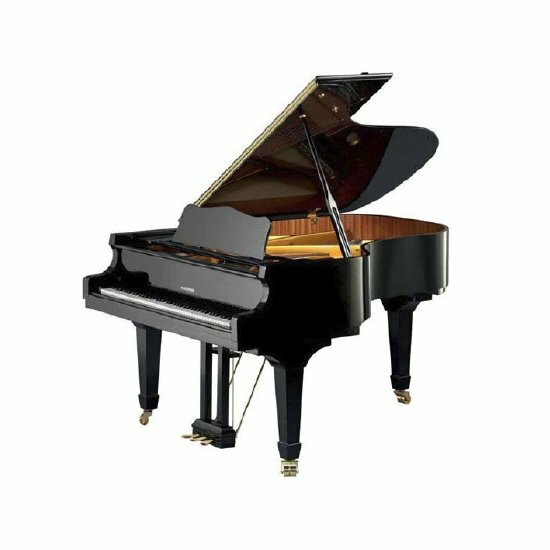 Please visit us at one of our showrooms to be delightfully assisted in buying this exquisite grand piano at the best price.